The best way to loot quickly is to land in an area that has a lot of loot to offer. 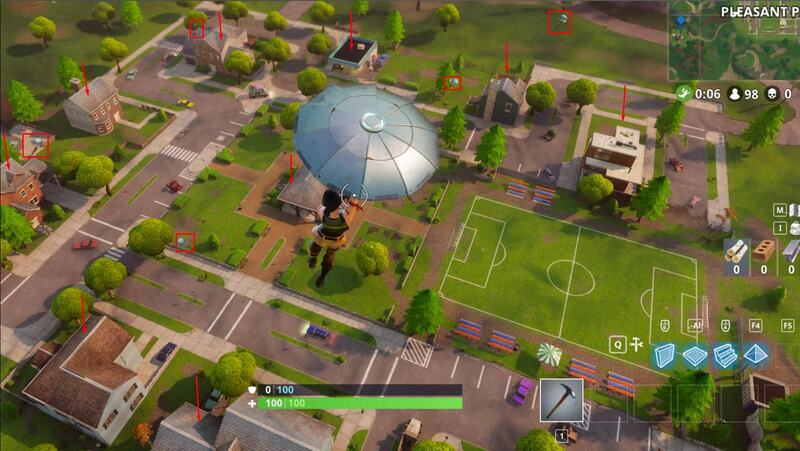 As an example, I’ll use Loot Lake, which has a large amount of collectibles and resources to offer upon landing. 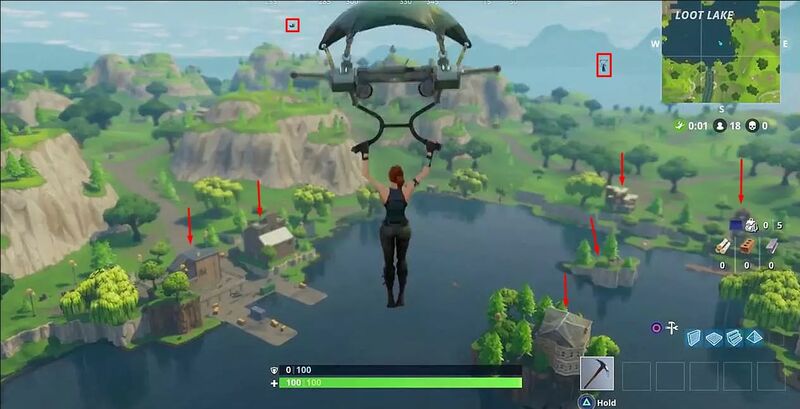 There is a huge settlement at Loot Lake where you can find a lot of loot including guns, ammo, and chests etc. So go to the Loot Lake and start grabbing the gear. One thing that you should keep in mind is that you should find a gun first as other players will come at Loot Lake too. So get a gun first and then start gearing up to make sure you can defend yourself if you run into an enemy. You need to be able to scan the areas quickly. This is because you will not have much time to thoroughly check out everywhere. This is a first come first thing and the quickly you scan the rooms the more loot you will be able to get. Make it your goal to check a building in less than one minute. This way you will be able to scan more buildings and gear up before other players get a chance to identify your location. This is the part where you are low on gear because some time has passed since the match started and the gear that you collected at the start is starting to deplete. 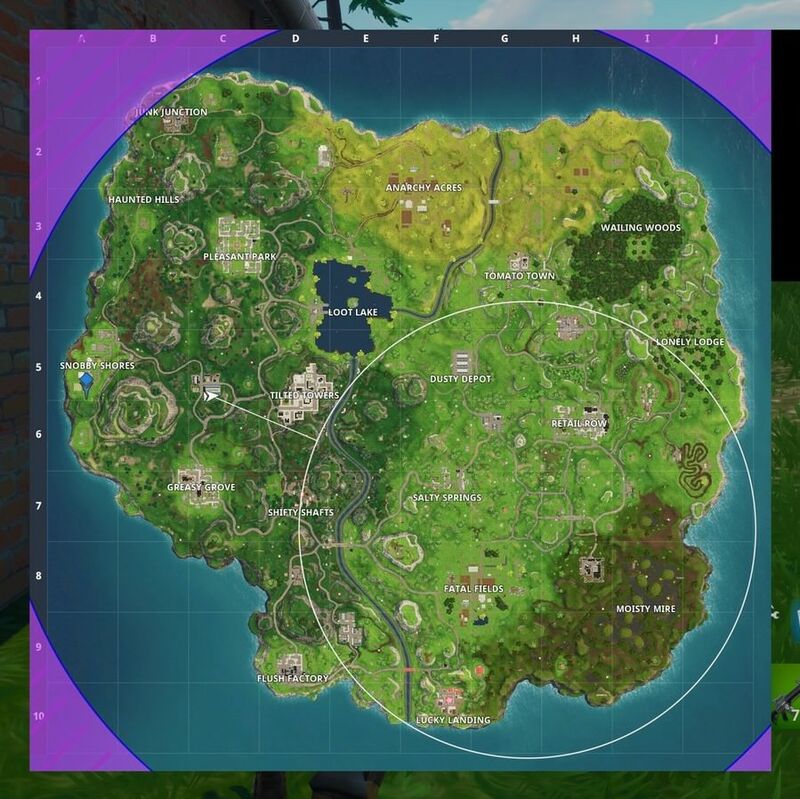 Now you need to wait for the players who are on their way to the new circle. This is because the player will be focused on quickly going towards the new area and won’t notice you waiting for them. You can then surprise fire on them and quickly collect their loot and get to the cover before someone notices you. Tip: If you want to quickly get the ammo laying on the ground then you should take out the Pickaxe. This will help you collect the ammo only and leave the unwanted weapons on the ground. This is it guys, the ultimate ways to get the loot fast and as quickly as possible. Just pick a good landing area, scan quickly and surprise attack the players going towards the new circle. This way you will be able to quickly fill up your inventory. Good gamepad for Windows 10 (and Android)? Need help quick! Quick help: Should i buy Battlefield 1 revolution or just the base game? Give me a quick lesson on "streaming"